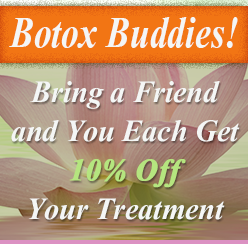 Dr. William Fox MD FACP, specializes in BOTOX treatment and other age-defying procedures. A Botox cosmetic treatment is a simple in-office procedure that smoothes worry lines, crows feet, and forehead wrinkles. Dr. Fox has rapidly made a name for himself in the region. Reverse years of exposure to sunlight and aging with the Obagi Nu-Derm system. This prescription home-treatment program diminishes fine lines and wrinkles, improves skin texture and corrects age spots. Soft tissue fillers such as Restylane and Juvederm smooth smile lines and "marionette" lines and enhance the lips, which become thinner as we age. Treatment is fast with little down time. Don't be self-conscious about getting into a bathing suit. If you see spider veins on your legs, Dr. Fox can provide treatment with no downtime. You may want to try one of Dr. Fox's skin care treatments. William Fox MD FACP, Aesthetic Medicine offers several cosmetic procedures based in Charlottesville, Virginia. Dr. Fox specializes in techniques that are either non-invasive or minimally invasive, leaving you free to get back to your life, rather than sitting in a hospital, recovering. He is trained extensively in the proper use of BOTOX, soft tissue filler, Restylane™, Juvederm™, and more. These treatments, especially taken together, can remove years if not decades from your appearance. Dr. Fox has been in practice since 1997. Request an appointment to discuss any of the above cosmetic procedures.